Craftyduckydoodah! : Stamp 'N Hop - All about love! 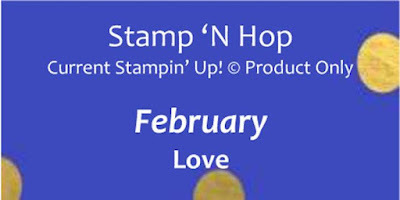 Stamp 'N Hop - All about love! 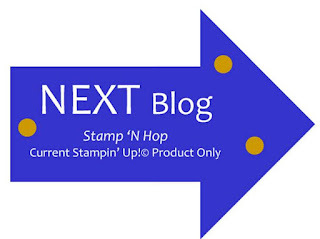 Hello and welcome to another Stamp 'N Hop blog hop! We are a group of crafters from around the world who love to share our love of stamping. If you are joining us from Jo or starting here with me, I hope you find lots of inspiration as you hop around with us this month. This month our theme is 'all about love' not surprising given that it is nearly Valentine's Day is it? In a former life I managed a Specialist Science College; it was the best job ever until I discovered Stampin' Up! that is!! 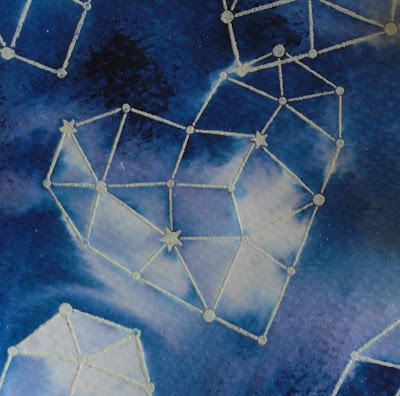 During my time at the college, I came across something called a star dome - its a sort of inflatable dome you sit inside of that is totally dark which allows you to project star fields and galaxies all around you. If you ever get the chance to go in one, you should - it is an amazing experience. 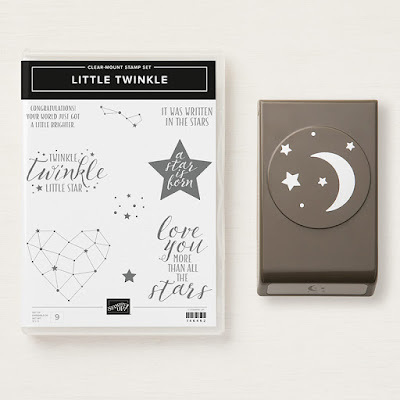 So given that I have a bit of a thing for the stars I have a stamp set on my shelf called Little Twinkle. 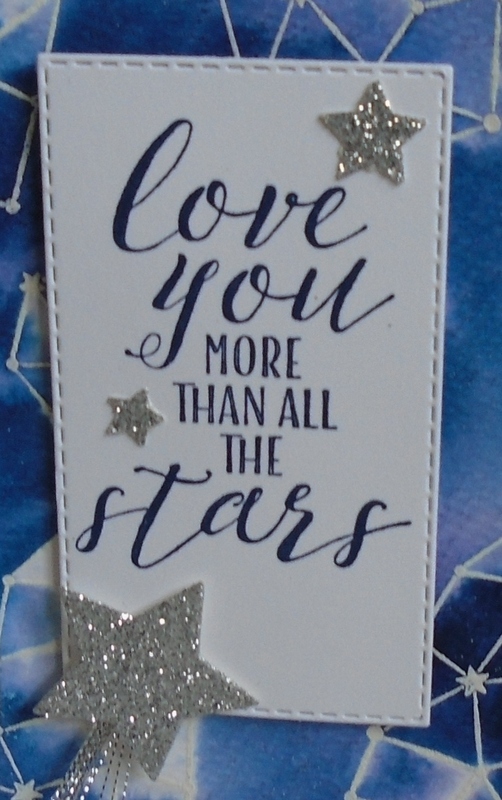 Not the most obvious choice for a Valentine's card but when I was asked a couple of weeks ago to make a card for a neighbour who is into star gazing it was absolutely perfect! The only problem was that I was asked to make the card in any colour I like except red! 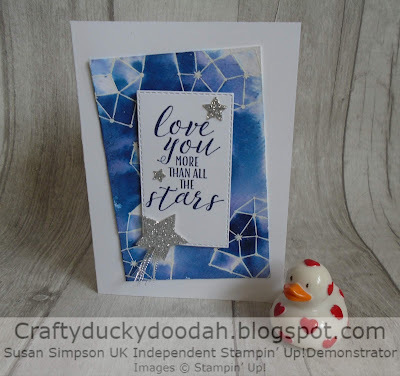 I decided to create a starry background for the card using water colour card. 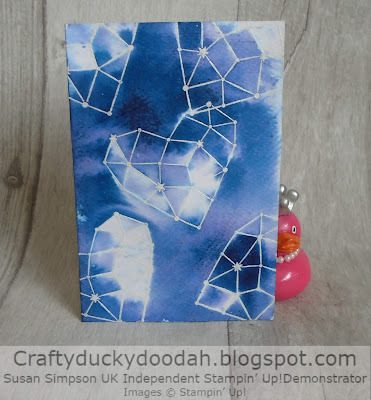 I swiped the card with an embossing buddy and then randomly stamped the heart image with Versamark ink. 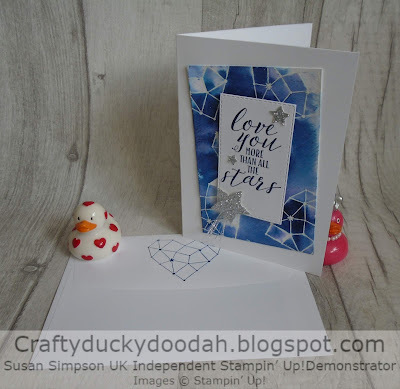 I then used some white embossing powder and set it with my heat tool. Spritz the image liberally with water - don't worry if it curls as it will settle down later. I then dropped three spots of Night of Navy reinker onto the card and watched the magic happen! The ink swirls around as if by magic. You can also lift up the card and let the ink move around too for some interesting effects. You can also spritz again to make the ink move even more if you like. I let the excess water and ink run off my background onto a silicone craft sheet. I used a heat tool to speed up the drying of my background. Don't waste the excess ink! I had another piece of embossed card that I 'smooshed' through the ink. The result is not as vibrant but the background is still usable! So, now I had a lovely background I got to work adding the finishing touches to the card. 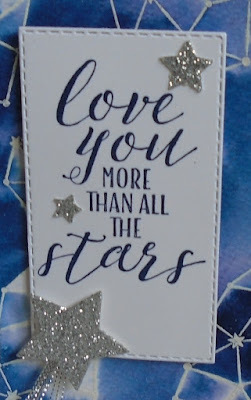 I used my favourite Stitched Rectangle Framelits and added a sentiment stamped in Night of Navy. 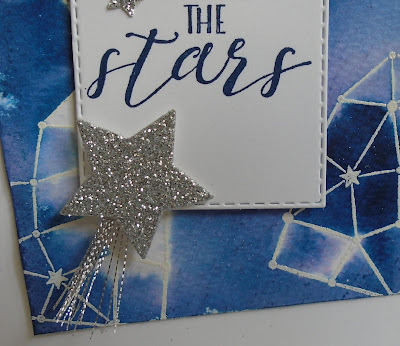 I used the coordinating punch and some Silver Glimmer Paper to punch out the smaller stars. The larger 'shooting' star is a die from a set called Wood Crate Framelits. 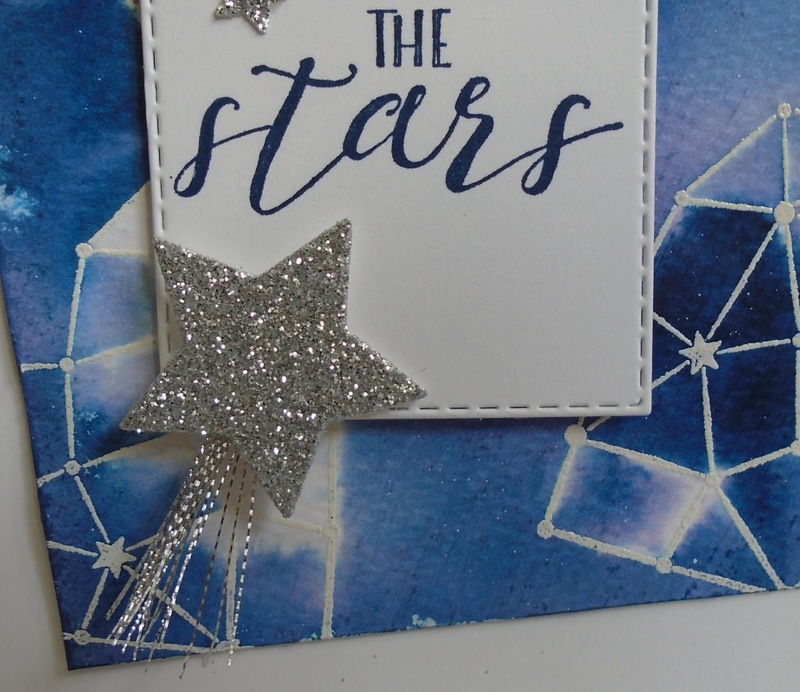 I used some silver thread to add a 'tail' to the larger star. Unusually for me, I added a sentiment to the inside of the card. As I had a couple of silver stars left over I added those too! Here is the completed card and envelope. As instructed, not a drop of red in sight! and, I was delighted when my neighbour said she loved it! Next up is Jenn Charles - I can't wait to see her project! Details of the items I used for my project can be found below along with a list of hop participants just in case you get lost along the way! Susan Simpson - UK you are here! 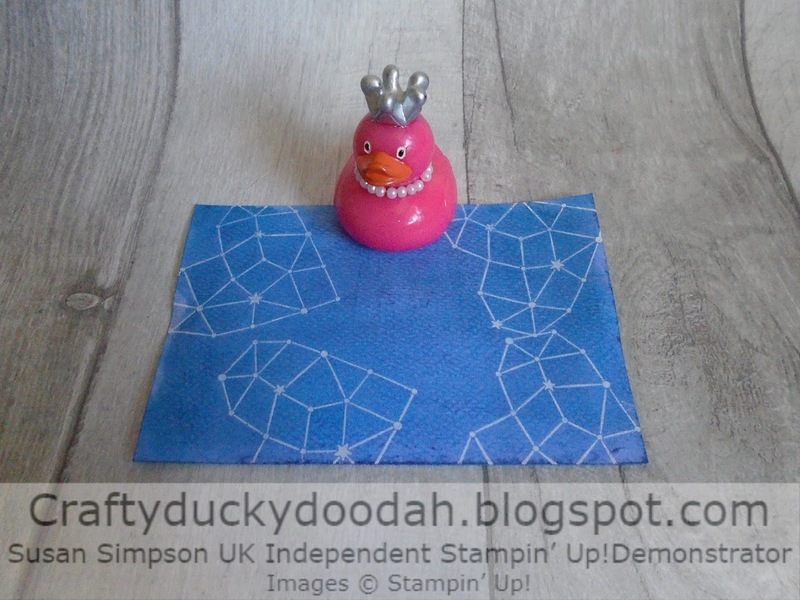 Thank you so much for looking at my Blog today, if you don't have a Stampin' Up! Demonstrator and you live in the UK, I would love to be yours! If you need to order any supplies, simply use my “shop with me” button or click on the catalogue links on the right. Alternatively, contact me and I would be happy to place an order for you. 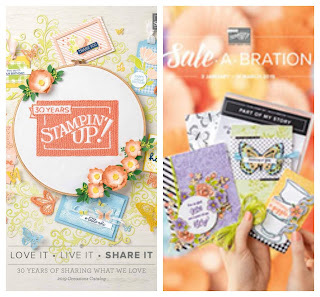 The Spring / Summer and Sale-A-Bration catalogues launched on the 3rd January. If you would like copies let me know and I will pop them in the post for you. Would you like to receive a FREE gift from me? All orders placed directly with me or online receive a handmade card from me as a thank you but did you know that all orders over £20 (excluding postage) will receive a gift from me too? If you use the current Hostess Code I will pop something in with your order or post directly to you. (Please remember to allow me to access your contact details otherwise I won't be able to contact you). If your order is over £150 please don't use the code as you will receive your own Stampin' Rewards. You will still receive a card and a gift from me. Here are the products I used today. All products are from Stampin’ Up! and can be purchased directly from my online shop by clicking the images below. If you are local to me and can collect, I’m happy for you to piggyback one of my orders to save on postage. If you have any questions, I’m happy to help. You can email me susan_merrey@yahoo.co.uk or telephone 07905 403 823. Thanks Vicky - she was! Thank you Pia - I have not used this technique for ages and had forgotten how much fun you can have with water and ink! Unusual choice for Valentines, but it works so well.. Thanks Tracy - have fun but, be warned you will get very inky fingers! Thanks Rebecca-Jo, my neighbour was very pleased with it. Hello and welcome to my blog! 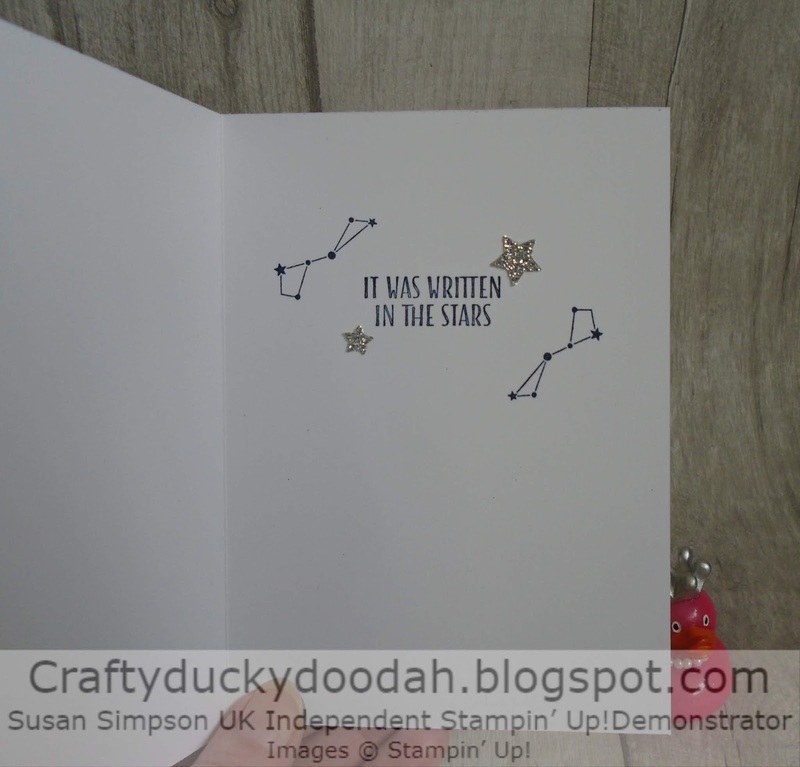 My name is Susan - I became a Stampin' Up! demonstrator in January 2015 and love most things crafty - I've been an addicted crafter for over 25 years! I have two grown up children and two rescue cats called Felix and Annie who have issues! Welcome to my Blog. All content of this blog is the property of Susan Simpson, Independent Stampin' Up! 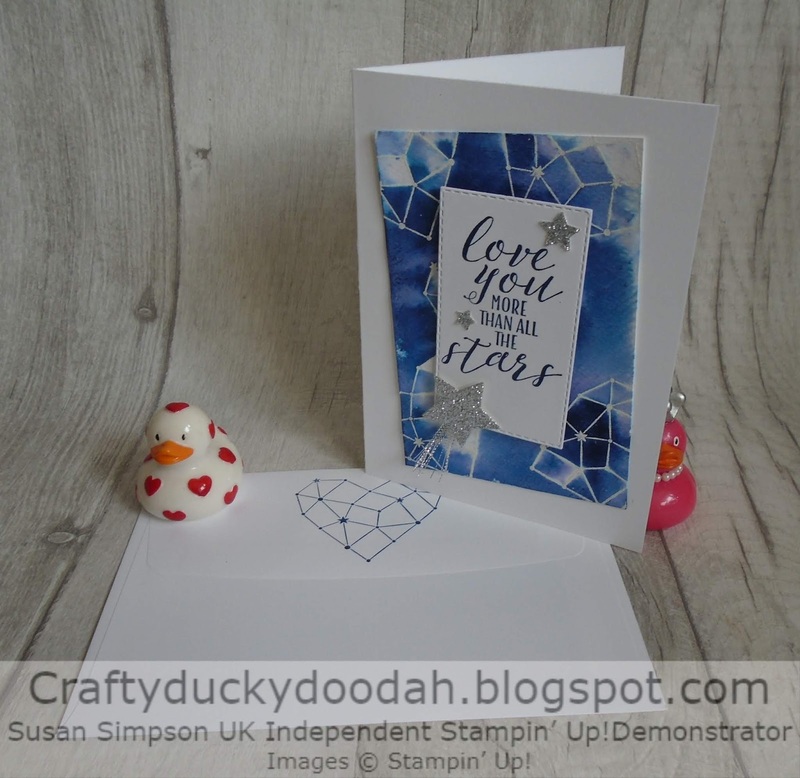 UK Demonstrator and is not endorsed by Stampin' Up! The projects, ideas, photos and articles are shared for your personal use, so I would ask that you please use my creations as inspiration only. Images may not be reproduced for website, competition, magazine or book submissions, removed, duplicated or copied without my express permission.